ppm factum merchandising services won at competitive tendering for retail chain stores at CZ. The cooperation with RÉMY COINTREAU is officially started at August 1. RÉMY COINTREAU belongs among world TOP 10 chart of premium spirit producers. 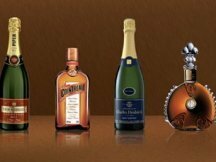 Portfolio of RÉMY COINTREAU contains leading world premium brands: METAXA, JÄGERMEISTER, JIM BEAM, RÉMY MARTIN, SKYY VODKA, PIPER HEIDSIECK, BOLS, COINTREAU, MATUSALEM, THE MACALLAN, SAUZA, THE FAMOUS GROUSE, HIGHLAND PARK and others. Cheers!